Hey, guess what? It’s a book release day! Which means I can finally get my greedy hands on the sequels to two of my favorite series, Defiance and Lux. “Baalboden has been ravaged. The brutal Commander’s whereabouts are unknown. And Rachel, grief stricken over her father’s death, needs Logan more than ever. With their ragged group of survivors struggling to forge a future, it’s up to Logan to become the leader they need—with Rachel by his side. Under constant threat from rival Carrington’s army, who is after the device that controls the Cursed One, the group decides to abandon the ruins of their home and take their chances in the Wasteland. Read more about Deception and the rest of the Defiance series here! 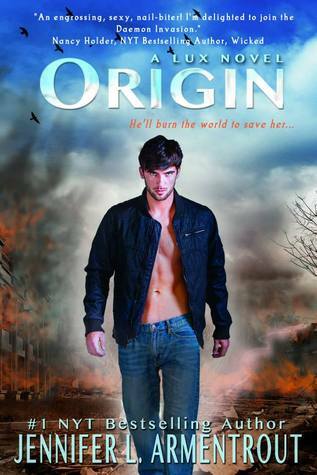 Read more about Origin and the rest of the Lux series here! Posted on August 27, 2013 by jenspendenPosted in 5-Stars, Jen's ShelfTagged book, CJ Redwine, Deception, Defiance, Jennifer L., Lux, Origin, YA series.